Film adaptation on DVD or Blu-ray. 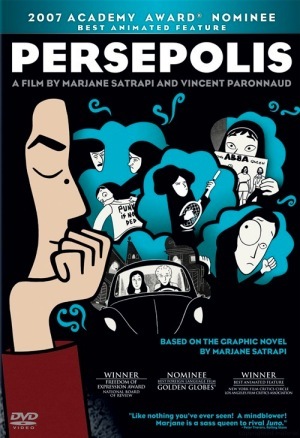 Marjane Satrapi’s acclaimed Persepolis is the story of growing up amidst Iran’s political and religious upheavals. It’s a story most readers in the West will know primarily from media reports, emphasising the fundamentalist Islamic regime. 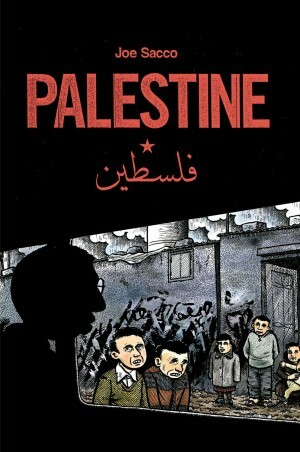 However, Satrapi, as a child of secular liberals, is well placed to tell a different version. 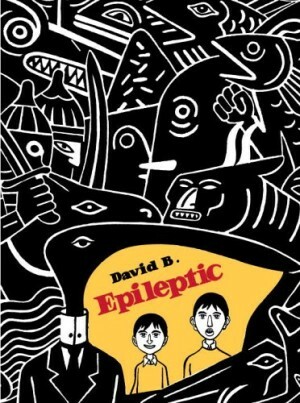 Originally published in English as two volumes (four in France), this volume gathers the complete story. A series of short chapters begins with ‘Marji’ aged ten, and then the introduction of that powerful symbol of the Islamic regime, ‘The Veil’. Satrapi’s light touch is demonstrated by the playground scene of girls improvising uses for this new addition to the uniform – relatable to anyone who remembers their childhood. After this, we rewind to before the revolution and hear of key events as they enter Marji’s world: protests against the Shah; families thrown into poverty, and members killed; and people imprisoned by one regime, released by the next only to be rearrested. The ostensibly Marxist uprising is railroaded by fundamentalists. 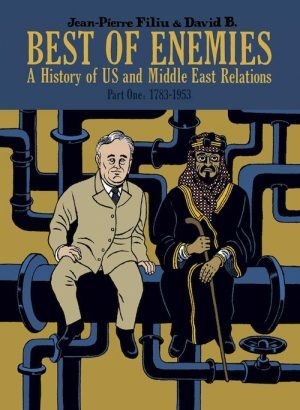 All this is exacerbated by the Iran/Iraq war, manipulated by the West, and prolonged by fundamentalists to maintain their hold on power. 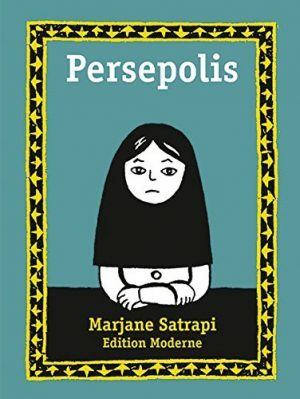 Persepolis is a memoir, not a documentary, so events are dramatised in terms of Marji’s life, and often re-enacted in the playground – “your father betrayed my father”, and so on. As Marji reaches her teens she learns of the more shocking practices. The chapter ‘Dowry’, for example, shows the state’s appallingly ingenious way round the prohibition on executing virgins. Other aspects are dealt with in a light-hearted manner, providing welcome relief from the tension. 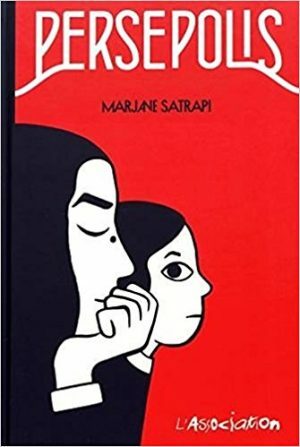 Satrapi the writer knows the limitations and foregrounds the subjectivity – most of the childhood stories are what young Marji has been told by others – relatives and family friends, even children in the playground. In one chapter she overhears her mother’s phone conversation, as if to emphasise the idea that this is – in the most literal sense – one side of a story. Marji’s combative nature is also useful in the book for unpicking and arriving at second opinions about things she has heard. 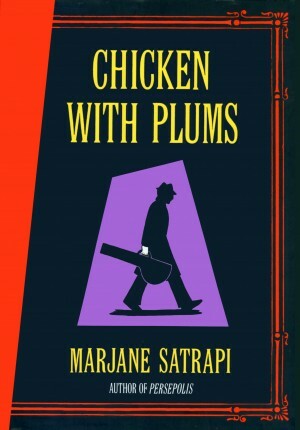 With all the dangers exacerbated by Marji’s own outspoken attitudes, her parents send her to ‘safety’ in Europe. Although physically free, internally she’s still ‘beating herself for Iran’s martyrs’, and struggles to enjoy the experiences on offer. She’s seen as simply a problem teenager, and burden to be passed on. 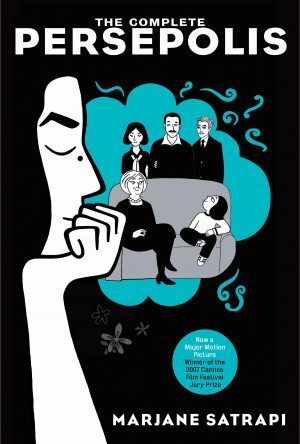 Following the arc of fictional coming of age stories, Marjane, now a young woman, returns to Iran. This provides further insight into her homeland, and its effects on her family and friends. 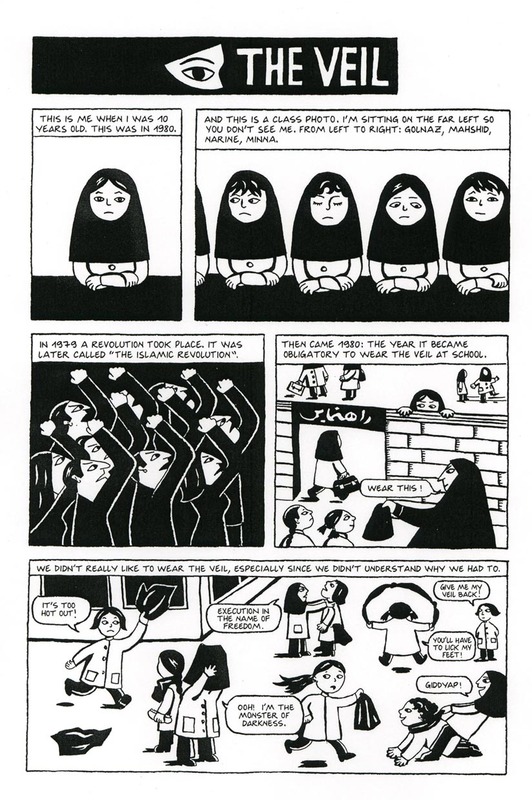 Satrapi typically leavens the grim realities with an eye for the absurdities of the regime – like the life drawing class where the model wears a burqa – a garment designed to hide the wearer’s figure. 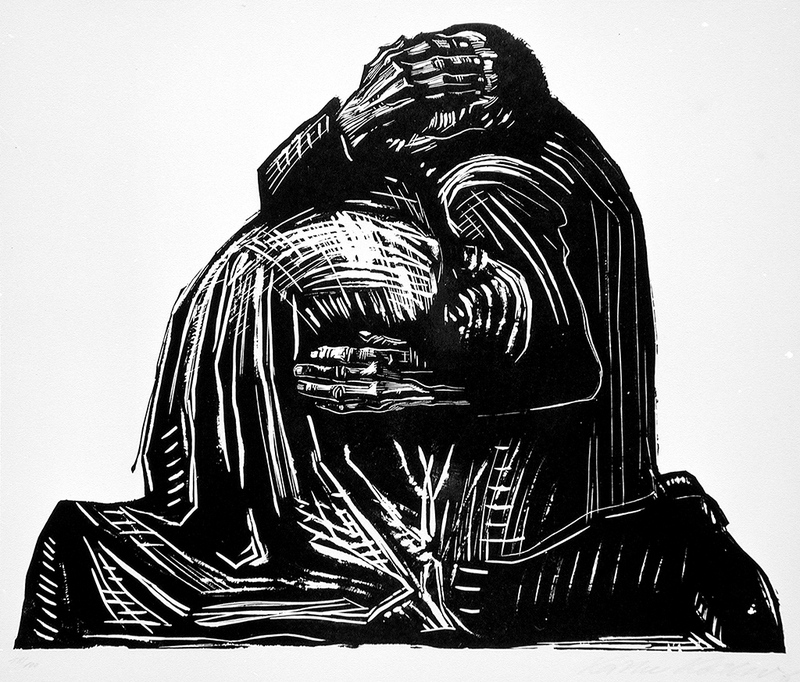 Satrapi is a similarly powerful visual storyteller, with a ‘woodcut’ style, surely influenced by David B’, (of L’Association who first published Persepolis), and (actual) woodcuts by, say, Käthe Kollwitz. We see her finesse in capturing from simple facial expressions the different reactions of her classmates to the addition of the veil to the school uniform (pictured). Her faces are always expressive and her figures equally so. She turns her hand to whatever is necessary, often iconic, symbolic images of e.g. boys being blown up in battle. The style is particularly effective for the initial child’s eye view of the story. 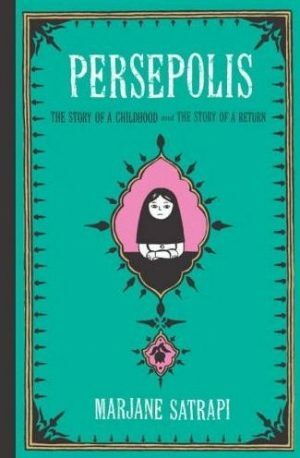 Persepolis is well deserving of its reputation, and remains a fascinating story, very well told. The paperback is keenly priced, though printed slightly small.